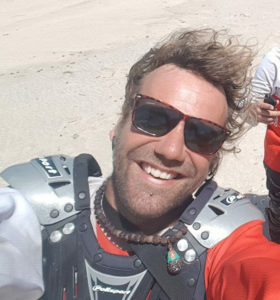 Looking For An Unforgettable Adventure on Motorcycle Tour? 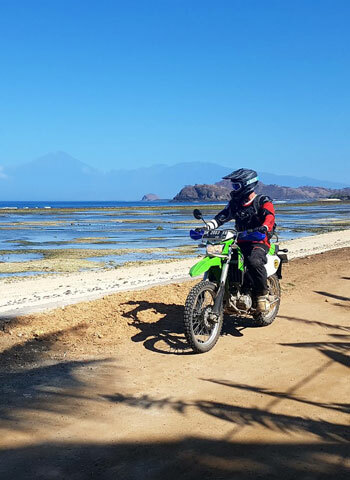 At Adventure Riders Indonesia, we offer unique guided motorcycle tours around the islands of Flores, Bali, Sumbawa in addition to other destinations throughout the Indonesian archipelago. Firstly, our mission is to deliver exhilarating off-road motorcycle trips in comfort and style, while discovering an Indonesia that very few travelers will ever experience. Secondly, our tours have something for everyone and plenty variety of off - road terrain, authentic cultural experiences, overnight stays in traditional villages, ride through spectacular volcanic mountains and tropical jungle trails, camping on pristine white sand beaches and down roads that redefine ‘off-the-beaten-track’. In addition, our adventures are for both novice and experienced riders alike, and each group tour can be customized, and most importantly adapted to your level of riding. 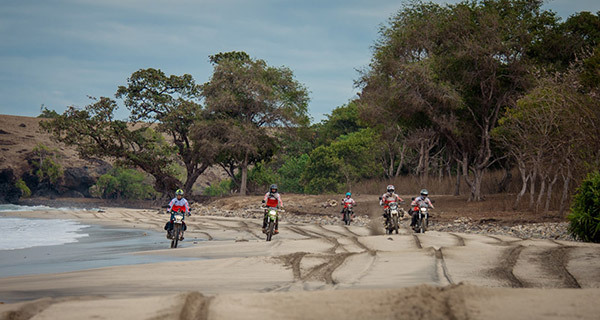 At Adventure Riders Indonesia, we use the latest 2018 Kawasaki KLX 250 and the 2019 Honda CRF150L dual sport bikes. The KLX 250 are tough and durable. In fact, they're almost indestructible, which makes them an ideal choice for the off-road challenges and the rugged and remote conditions that we throw at them. The CRF is lighter but still tough, with good torque and lower seat height. As suited as the bikes are the have however been slightly modified to suit our type of dirt bike riding. For our motorcycle tours we've added a few aftermarket items such as 12v USB charging outlets and hand guards. Adventure Riders Indonesia was the brainchild of Allan, Adam and Jamie, and the latest venture of Calico Jack Charters, our successful traditional Indonesian Yacht Adventure company - specializing in dive trips and adventure tours in Maluku and Raja Ampat. The concept was to extent our established pedigree and passion for adventure at sea to the land. In other words, to explore the sights of Indonesia by bike - and to do it in style. And so Adventure Riders Indonesia was born. Guided motorcycle tours across the unique and fascinating islands of the Indonesian archipelago. The rolling tool shed has been kitted out with spare parts, tools and even an extra bike. It’s been built on a Toyota Kijang, an "Asian Safari Cruiser" – characterful and charismatic. It will carry our luggage, surfboards, camping equipment, the chef, and, of course, the mechanic. And it can go almost anywhere. 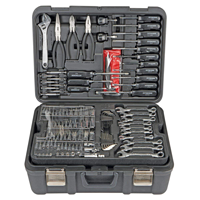 Our on-board mechanic has all the necessary tools and equipment to keep you on the road no matter what the issue. All our bikes are regularly serviced and maintained, guaranteeing a smooth and hassle-free ride. We carry a full range of comprehensive spares that will have you back on the road before you know it. And, as an extra precaution, our support vehicle carries a spare Kawasaki KLX bike for emergencies. Our motorcycle adventure tours aren't just about roaring engines and dreams of speed. As we travel through this unique country, there will be plenty of opportunity to explore the other treasures Indonesia has to offer. Trekking dormant volcanoes, swimming in hot springs – you could even spend the night with a local family, or camp on the beach. Explore dense jungle trails with exotic wildlife, snorkel in crystal-clear waters with marine life you never knew existed – it's all possible. We have a couple of masks and snorkels, and will even strap some surf boards to the tool shed so you can catch some waves on remote breaks along the way. I’m pretty new to off-road riding, so I joined these guys for a two day/one night tour through Bali, from Ubud to Tulamben in the northeast of the Island. When I tell you I was nervous… it had been years since I rode a manual bike and I wasn’t even sure I remembered how to turn the engine on. As it turns out, it’s just like… well, riding a bike. Despite my relative inexperience, the guys at Adventure Riders welcomed me on the tour, helped me improve my skills massively, and found ways to make sure everyone was challenged appropriate to their skill level, so nobody was bored and nobody was struggling. Not too hard, at least. I can honestly say they were two of the best days I’ve ever spent while travelling. We took on black volcanic sand, gravelly beaches, rickety old bridges over deep ravines… and what I learned in those two days was incredible. I’d have no hesitation taking on a longer trip next time. I couldn’t have found a better bunch of people to do something like this with. Where lucky to do a Bali trip and the Flores trip and it was truly amazing! Best adventure ever! Top pro company, best routes and really nice guys. It was a really good experience and I'm taking the java trip as well with ARI- can't wait! I was really not experienced on a dirt bike but you advance day by day as these guys are so good at taking care and teaching all you have to know. I only have good things to say sooo..don't wait just go on a adventure with the ARI and explore this beautiful country! If you are looking for the ultimate bike adventure then you need look no further. I joined Adventure riders 10 Day Flores trip in June and it was by far the best bike trip I’ve ever experienced. Kadex and the crew delivered a well organized, safe and memorable action-packed Adventure. 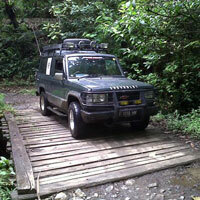 I was very impressed with the diverse quality of terrain and sights that Flores has to offer. Highly recommended and looking forward to joining their next Adventure in Sumbawa. We did the Bali to Sumbawa trip with Adventure Riders in September 2017 and I would highly recommend hitting the road with them. We started in Ubud and covered some exciting spots in central Bali, ripping it up in the black sand of the volcanic crater and exploring real Balinese villages and temples. Then we headed east to Lombok. 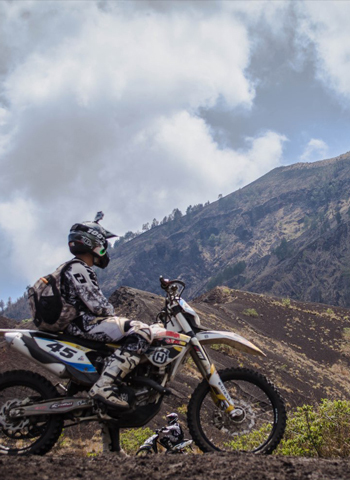 Lombok is a riders dream with excellent roads and a vast diversity. From the colourful and picturesque seaside towns of the east to the mystique of the jungle villages of Rinjani to the vast surf coast with amazing ocean vistas to the beautiful lush interior of jungles and waterfalls and even….a super hi way. Lombok is an appealing island to explore. Without the tourist fanfare of Bali, Lombok has a lot to offer and a motorbike is the best way to really discover it. We then headed east to Sumbawa and hit the southern surf coast where we spent a few nights at the perfectly chilled Whales & Waves Resort and explored the south coast. This was a great base to explore from. It is pristine and remote with spectacular surf spots and remote trails to blaze. The crew are top notch with an obvious passion for adventure. They know the lay of the land and seemed quite experienced navigating the quirks of remote Indonesia, directing us smoothly to perfect destinations daily for a relaxing sunset Bintang and a good story. We stayed in some fine laid back resorts, off the beaten track and covered some incredibly diverse environments. From full on mountain climbs to remote traditional villages to waterfalls, secret beaches, volcanic craters, jungles, temples and the best nasi goreng in town, these guys know all the good spots. The bikes were good and they were well prepared. 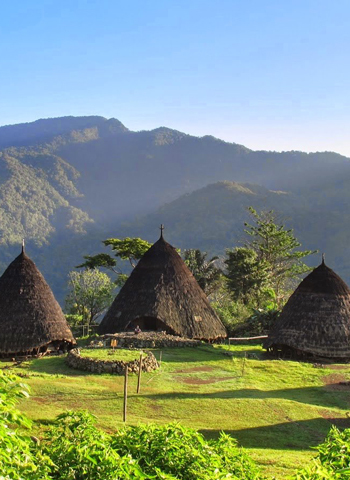 This is a great way to see Indonesia for those looking for a real adventure. Never a dull moment. Highly recommended. Can’t wait to go again in 2019.